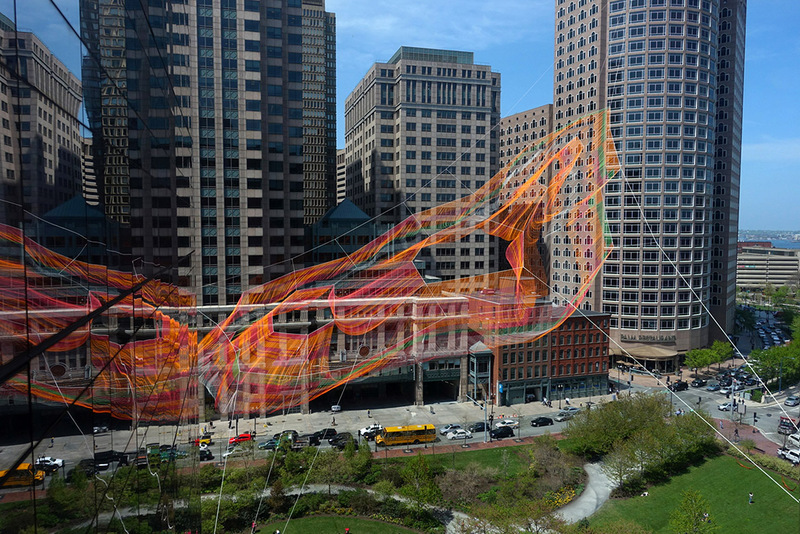 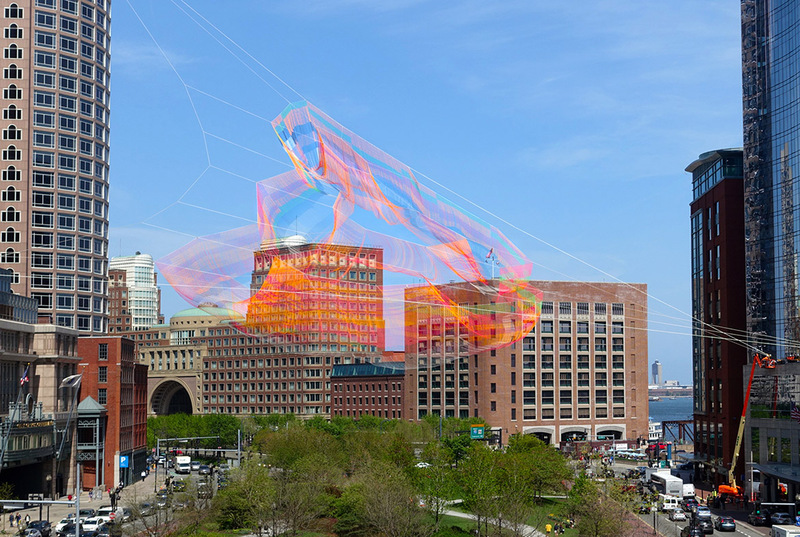 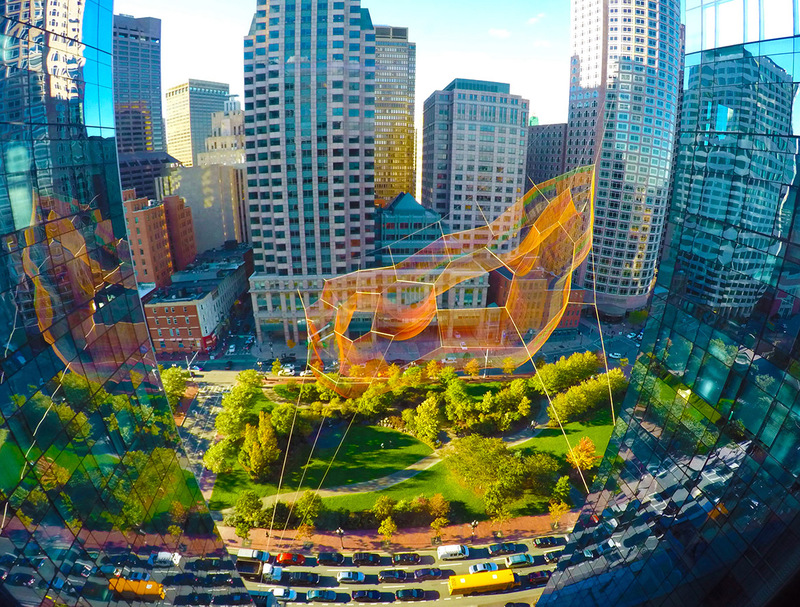 Jury comments: The jury all agreed that this ephemeral floating art work—a feat in idea as much as engineering—was transformative for the city of Boston. 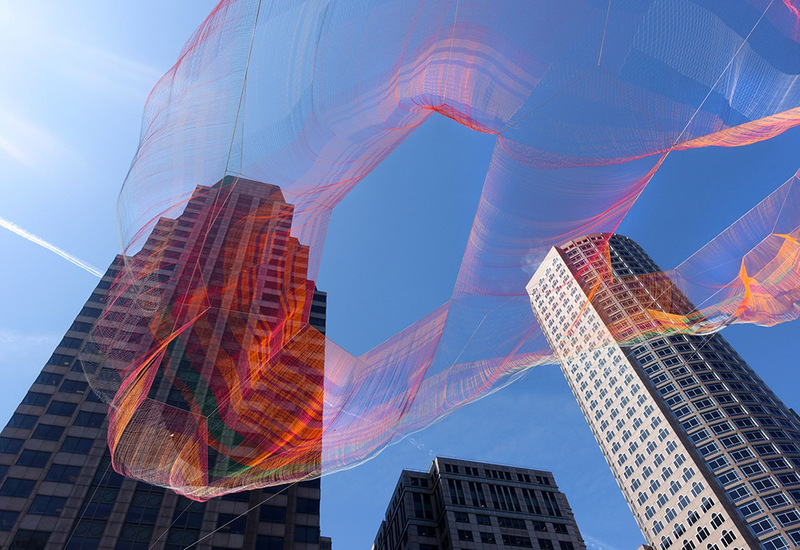 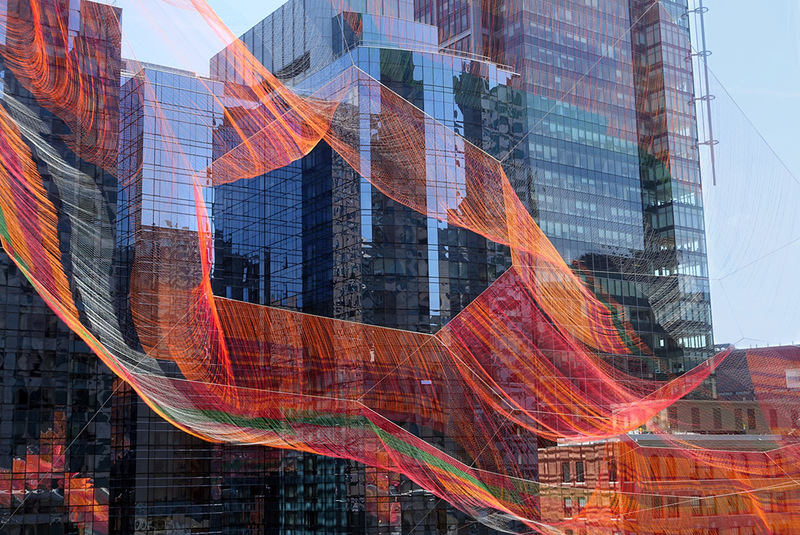 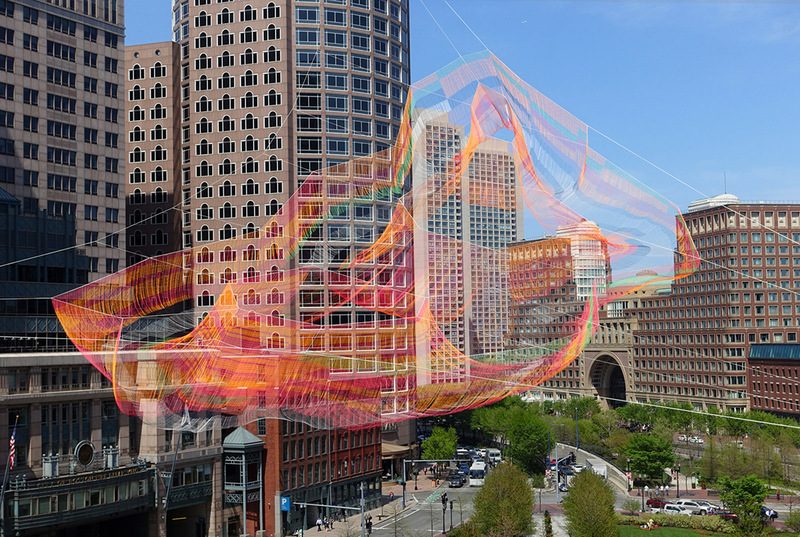 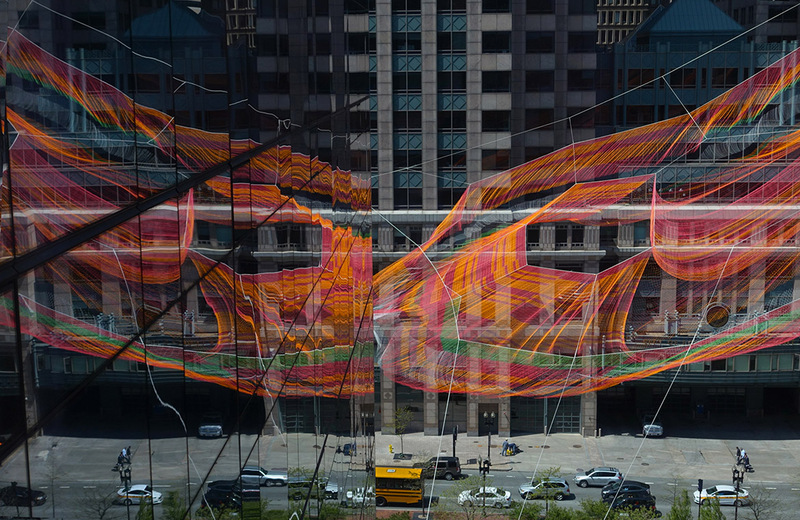 A structure of fibers, born of traditional weaving and systems of knots, was simultaneously strong and whimsical, withstanding and responding to different weather and times of day, creating a colorful canopy for Greenway-dwellers. 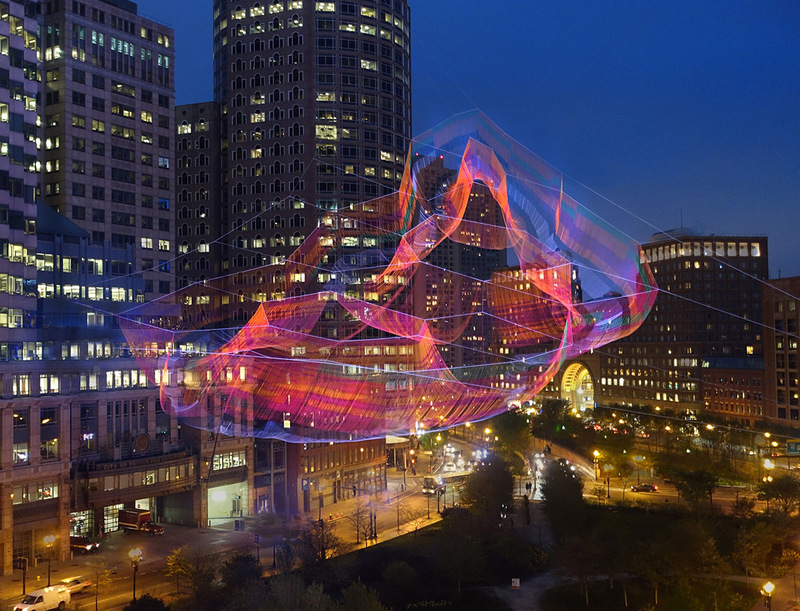 It is no longer suspended above the Greenway; still, its power to gather people and inspire awe lingers.